Use a flap stay hinge to ensure that your lift-up wall cabinet doors remain open. 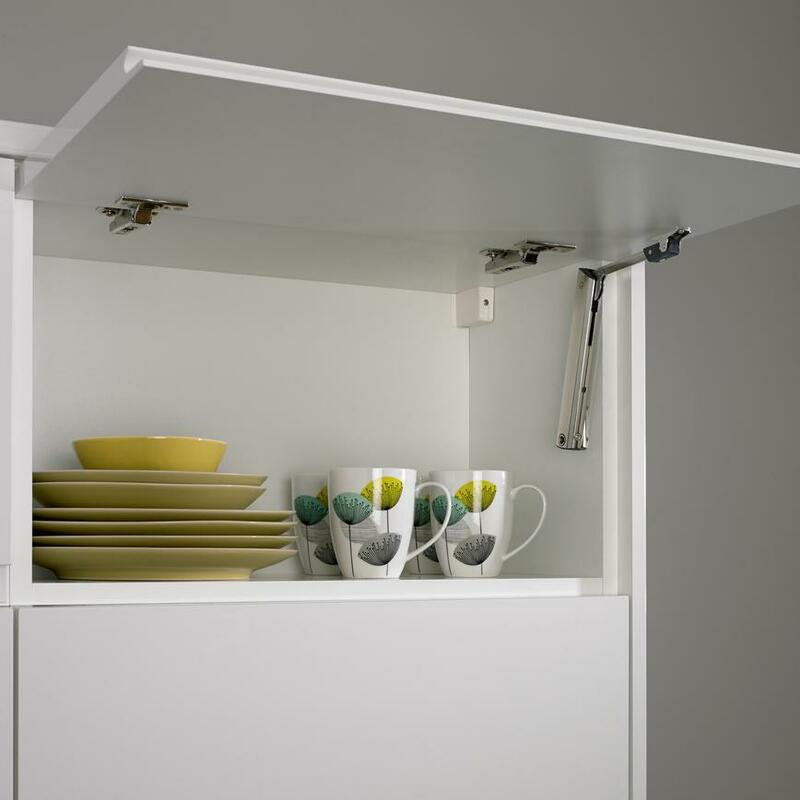 When you need both hands when taking something out or putting it away then our flap stay hinges will ensure your cabinet stays open. They can also be used with your integrated microwave top box so the oven is concealed when it is not in use. Due to the differing weight of frontals, units require different strengths of hinge.